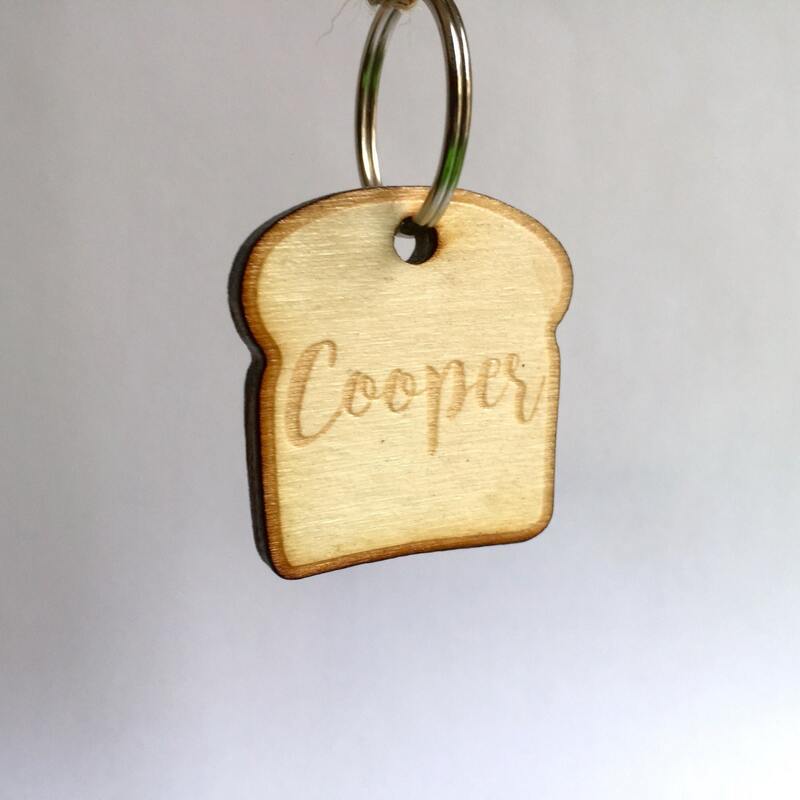 Custom laser cut poplar wood Slice of bread dog tag. 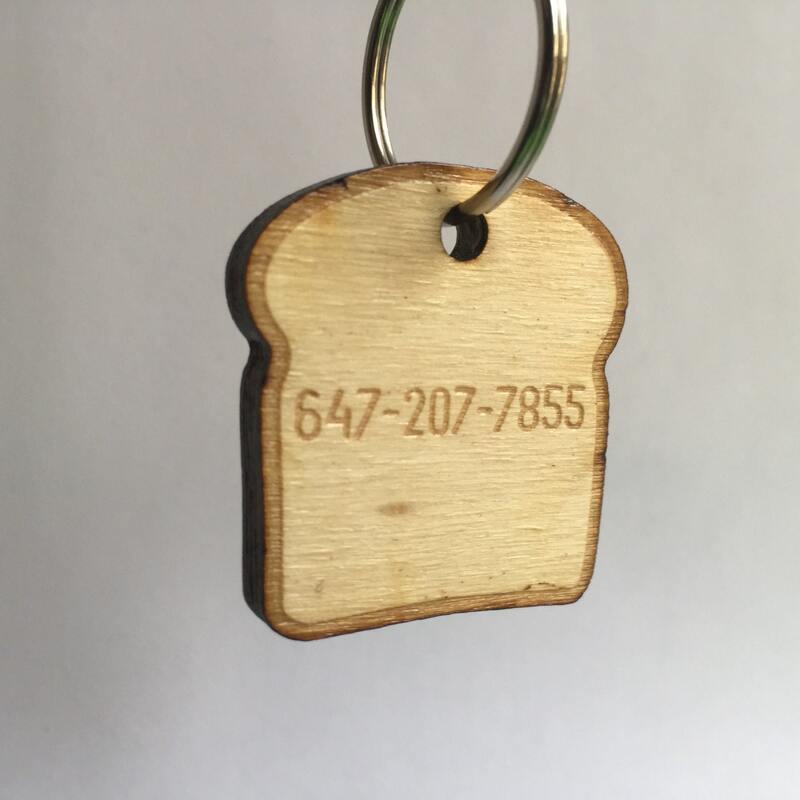 The dog tag is 37 mm wide and 5 mm thick. If you want it a little bit smaller or bigger, please let us know. 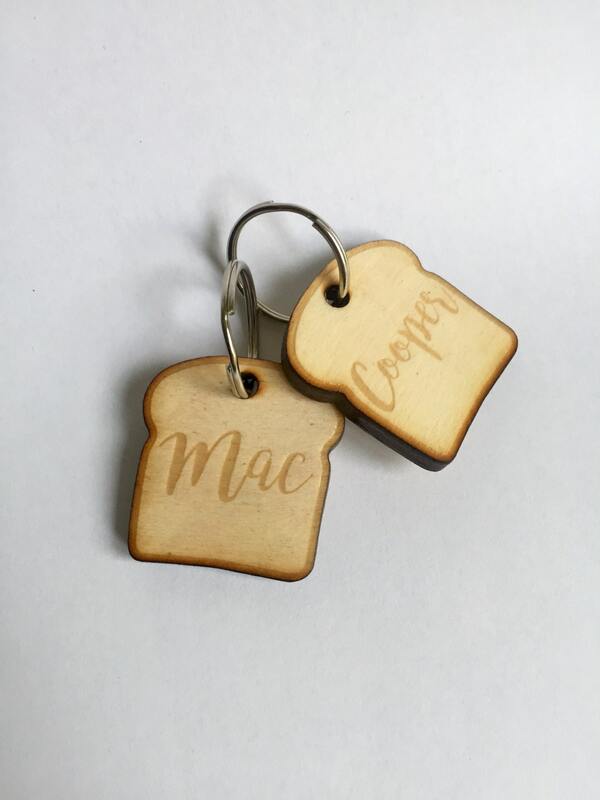 Tags are designed by Tigre et Loup and laser cut in a parisian workshop. It is then varnished to ensure maximum strength, protection and weather resistance. However, try to keep it away from dog teeth as far as possible.